and concession trailers for sale near you. Find local foodservice equipment that's right for you. 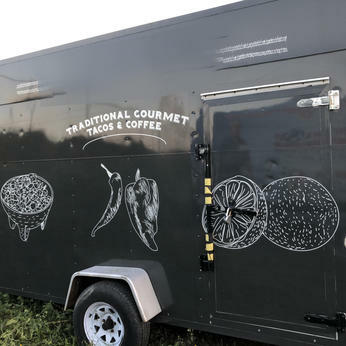 Whether you're looking to purchase your first food truck or expand your fleet, our selection of trucks, carts, and trailers is sure to help you get rolling. Search by location to find trucks near you, by price, and by new truck listings. When you find a piece of equipment you like, just hit "Inquire About This Truck" and send us your information. We'll connect you to the seller and help you with the process at no cost. *NOTE: The listings below are by independent sellers. Make sure to examine all equipment, including getting a professional evaluation, before making any purchase or transaction. Location: Alabama Arizona Arkansas California Colorado Connecticut Delaware District of Columbia Florida Georgia Hawaii Idaho Illinois Indiana Iowa Kansas Kentucky Louisiana Maine Maryland Massachusetts Michigan Minnesota Missouri Montana Nevada New Jersey New Mexico New York North Carolina Ohio Oklahoma Oregon Pennsylvania Rhode Island South Carolina South Dakota Tennessee Texas Utah Vermont Virginia Washington West Virginia Wisconsin Alberta British Columbia Ontario Russia Spain United Kingdom Israel Kuwait Qatar Saudi Arabia U.A.E.